Hey, fellow bloggers/ aspiring bloggers/ curious readers! 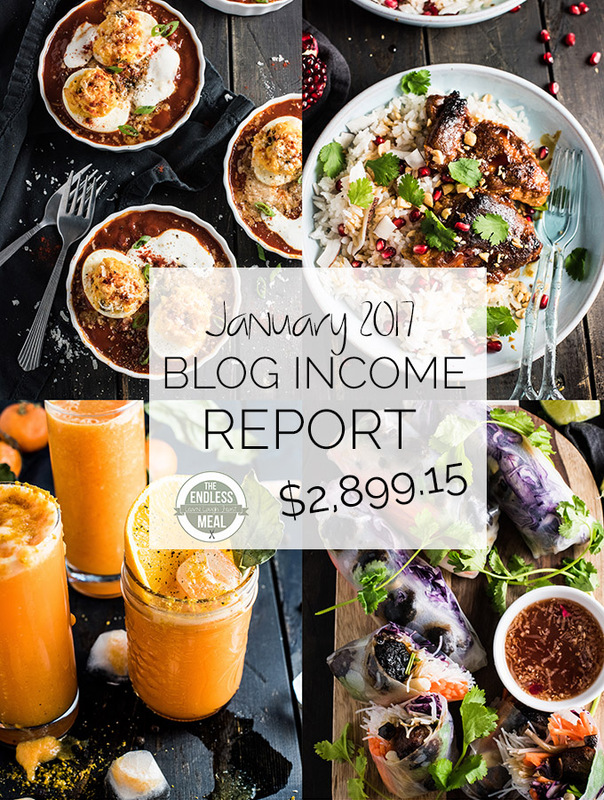 It is time for January's Food Blog Income Report. 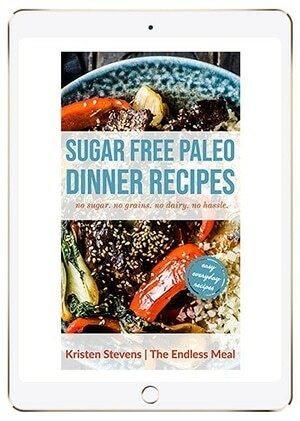 If this is your first time reading one of these reports, it is the once a month when I share with you some behind the scenes details about The Endless Meal. I go over the different ways that TEM earns an income, what the expenses are, a little about the traffic the blog gets, and share some blogging related tips. This month, I'm going to share with you the 8 steps (plus a bonus!) I take to the optimize SEO for each post. You'll find the tips near the end of this post. When I first started these reports in March 2012, the blog earned $15.37. If I had deducted expenses at that point, I'd likely have been in the red. It didn't matter, I was stoked. I didn't start this blog as a way to make money, so even that first little bit was so exciting. Since then, TEM has grown into a full-time job, and I'm still super stoked about it. I love that I get to cook, be creative, and connect with people from all over the world. Now that I have an awesome little girl at home, I love that I can do all these things AND be with her and watch her grow ever day. It's a bit of a dream, and I'm forever thankful for it. If you were around for last month's income report, you'll notice that there was a fairly big drop in earnings this month. The January slump is well known in the food blogging industry. 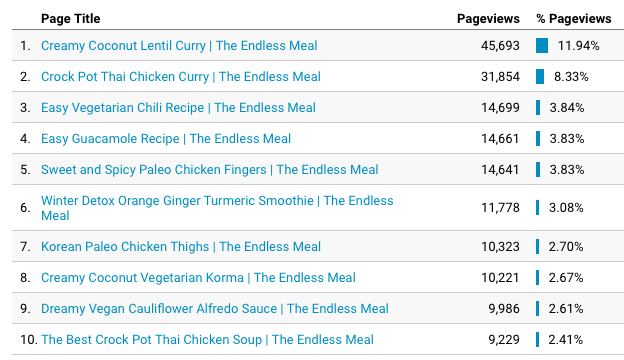 Even though traffic generally spikes with people looking for healthy recipes, advertising budgets are new and reserved. This means less money for ads and fewer sponsored posts. SEO stands for Search Engine Optimization, and it can make or break a website. Want Google to know about your blog? Great! I have lots of tips for actions you can do that will optimize your site in the eyes of Google. Before I show you exactly how I optimize each page on this blog, there are two things you need to know. 1. There is no magic formula. Let's get this out of the way first. While there are many things you can do to help boost your site's SEO, there is no way to guarantee that Google will place your post on the first page of the search results. You can't beg, plead, or pay for it. One of the biggest influencers of a page's Google ranking is social proof. Google wants to provide content that is highly matched to what people want to see. If people are engaged with your page (they frequently click the link Google shows them, the page is linked to on other blogs, people share the page) then chances are Google will give your page preference. This is the big reason that often a page that ranks high in Pinterest and is linked to frequently on BuzzFeed and other sites will perform well on Google. Even though there are no guarantees, there are many things you can do to help boost your blog's SEO. Below I've listed all the steps that I take with each post I publish. I've written them in the order I complete them, not in order of importance. I find it best for my workflow to format each page from the top down before I write the post; you'll see that's reflected in the order of the SEO tasks. Before starting, I recommend that the first thing you do is install the powerful optimization plugin: Yoast SEO. This will help you narrow down the best keyword to choose. I generally find that keywords with a medium amount of traffic and low competition perform the best. Note: the keyword planner has been scaled back and has very limited data now. If you're running ads with Google Ads, you get the full version. While it is a little frustrating, it is still worth starting here. Paying a visit to Google Trends is also a good idea. While it doesn't help you with keywords, it can help you plan the best time of year to post a certain type of recipe. 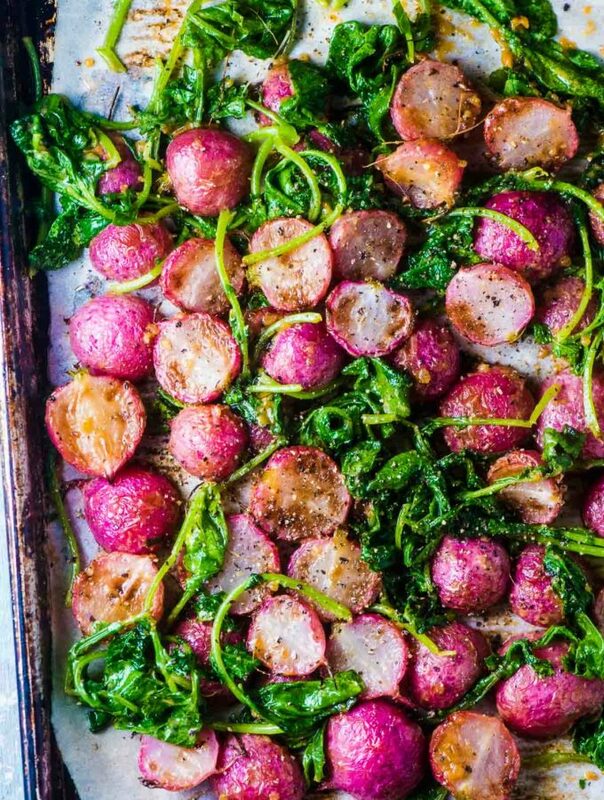 Take that keyword and create your recipe title. Ideally, the keyword should be at the beginning of the title, but it's not always possible. Entice your readers with the description but making sure that the keyword is there, too. WordPress will automatically use your recipe title as the URL slug. If the slug is long, use the edit button beside the permalink (under the recipe title) to shorten it. For example, the post Spaghetti Squash Carbonara with Butternut and Broccoli Spears had a long URL. To clean it up, I changed it to theendlessmeal.com/spaghetti-squash-carbonara. 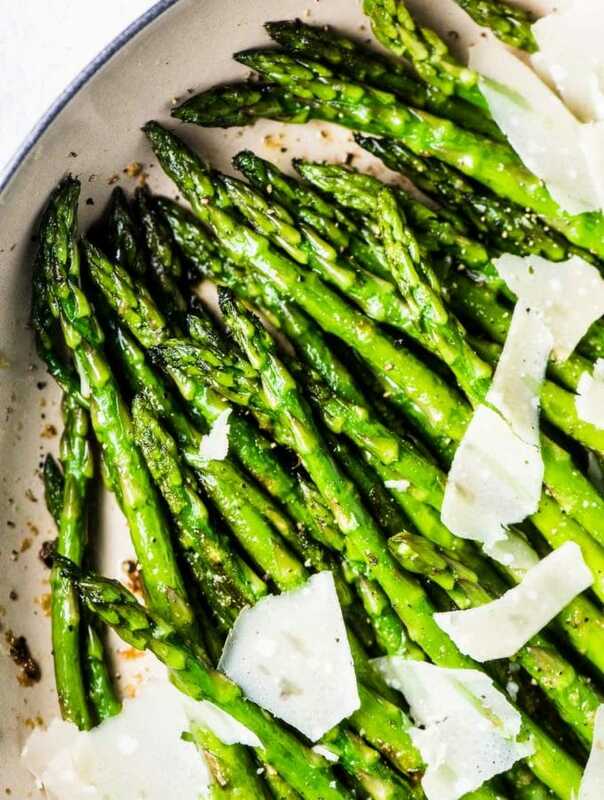 Write a brief description of the recipe including your chosen keyword. I like to put this at the very top of the post, above the first image. This ensures that your keyword is in the first paragraph so when Google comes crawling through, they'll read this first. Try to write a description that is keyword rich (words like recipe, dinner, healthy, vegan) and use as many as possible that fit your post. Remember to keep it natural sounding! Copy the description at the top of your page and put it in all your image alt tags. Your alt tags are your way of letting Google know what your image is about and can increase the chances of being shown in image searches. Pinterest also works with keywords and your alt tags will be the description of the photo when someone pins the image. Bonus! Paste that same description into your recipe summary. You could also write a new one, but make sure you use your keyword. Once you've installed Yoast SEO, you'll be able to edit the post's metadata. This is what people will read when they see your post on Google. Use your keyword and make it enticing. Think about what people want/need to know about the recipe and what will make them click. When you're writing your post, you want to keep your keyword in mind, but not get too crazy with it. The most important thing is that your writing sounds natural. It gives me the opportunity to use the keyword in a natural sounding way. I'm able to add a link to my Instagram account and (hopefully) encourage people to follow it. It allows people to engage with the post and encourages sharing. Read: social proof. As a big bonus, I get to find out which recipes people are making. I love that part! You could use this same formula to help drive traffic to any of your social media sites or to encourage people to sign up to your mailing list. Thank you for being a part of this month's blog income report. If you have any questions don't hesitate to reach out in the comments below! Quick teaser for next month … I'm currently directing a lot of time and energy into creating videos. I'll be monitoring their results over the next month and will let you guys know about it in February's income report. Amazing content, and even better pictures. You have just gained a new fan! Keep it up. I’m sorry the site is giving you trouble! I’ve reached out to the team who takes care of the ads so we can make sure this doesn’t continue to happen. I appreciate you letting me know! You already know how much I love these reports, and this one ain’t no exception! If I might add one more SEO tip to the mix, I would say get a Schema plugin if using WordPress. For recipe posts it’s crucial, so that a recipe stands out in the SERPs. Here’s to more success in the months to come! That’s a great tip! I use the recipe plugin Easy Recipe Pro, which automatically marks up the recipes. From your SEO experience, would you recommend using both?